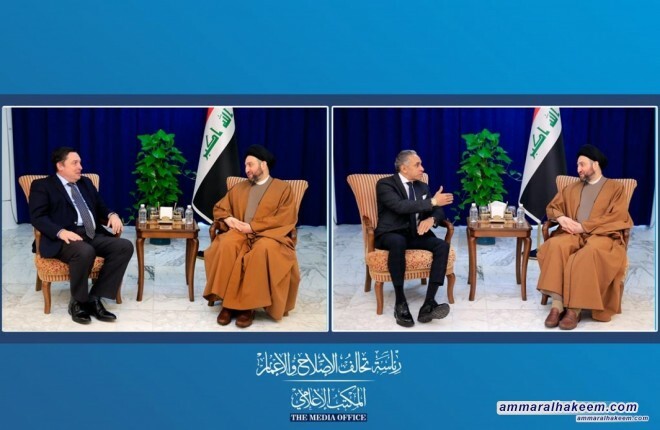 His eminence discussed latest political situation in Iraq, and the Iraqi and United Kingdom, Iraq and Egypt bilateral relations and indicated the importance of balanced relations between Iraq and the world based on common interests. His eminence spoke about developments in Iraq and the extent of Iraq’s impact and effected in the regional environment, pointed out that Iraq provided a leading experience in peaceful transfer of power and exchange of roles and took steps in consolidating democracy and adopting the voice of the people and their choices. His eminence pointed to the challenge of services provision as a pressing issue in the Iraqi situation, and it is necessary to achieve victory in it to complement the political, military and societal victories after the defeating terrorist Daesh. renewed support to the government of Mr. Adel Abdul-Mahdi through implementing the governmental service and development program, and indicated Reform and Reconstruction Alliance represents the real national project that defends the interests of all the Iraqi people, the Alliance is moving forward with institutionalization as it is an important entry promote political stability in the country. 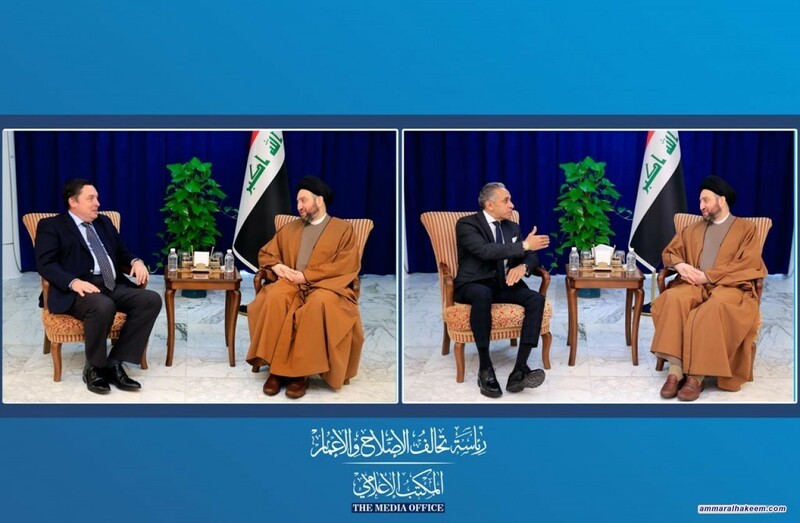 Regarding regional and international situation, his eminence renewed his call for dialogue and espousing a political solution, indicated that Iraq is qualified to be a bridge for communication and convergence of views among key players.